Permit me to say this. ‘The Best thing that has ever happened to mankind after Sliced Bread is SPSS”! Yes, I mean Statistical Package for Social Sciences. As a Research Assistant working in a purely Mechanised University, I could sense a significant relationship between Data Analysis (Using SPSS) and frustration among Final Year Students. I mean, Students just get moody by just the mere mention of Data Analysis. At one point, A student literally forgot her Project Topic she has been working on for the past 4 months. Lol. Let me pause and ask a question…what if I told You that Analyzing Data with SPSS is easy as ABC? Would You Believe? Sure, you can ridicule it, come out with good grades, and most importantly, save time and money. 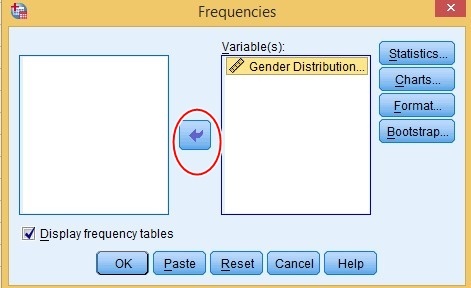 Now, what You are about to read here is the simplest tutorial You can find on the World Wide Web on SPSS. Trust me. I have a special anointing for breaking complex issues to its simplest form. Lol. This article will be broken down into various segments. 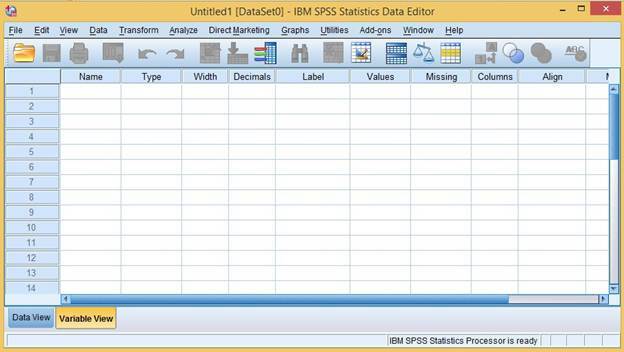 If You are a beginner and new to SPSS, you can keep reading. 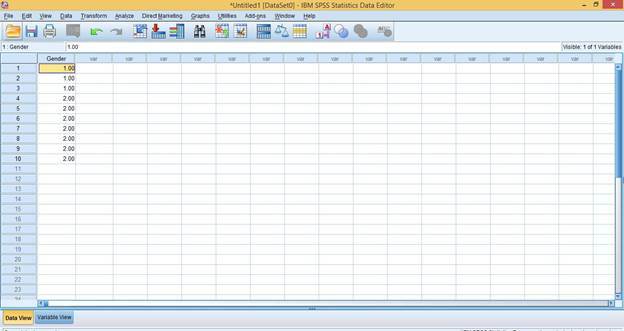 This article will provide you with the basics to get You started with SPSS. However, if You need some advance stuffs like making Inferential Statistics with SPSS, kindly Click Here. For starters, let get an overview of the software. The Software is cool and totally awesome. Two Buttons were highlighted-The Data View and the Variable View. The Data View Tab is where the actual results or data is inputted while, the Variable View is used for setting up the variable(s) and coding of data. Name: This is where you insert the Variable Name. Type: This column is for the data type or variable type. Width: This is where you set the width of the table, chart etc. Decimals: Use this column to set decimal places for numbers. Labels: Use Label to title of the data set or chart. Values: This is where the actual coding of data is done. Missing: incomplete data or un-returned questionnaires can be entered here. Align: This is where choose the positioning of the table or chart. Measure: Data measurement Scale applied for the variable. Role: How the Independent and dependent variable should display and be used. Alright, let us put everything we have learnt so far into practice with some illustration. 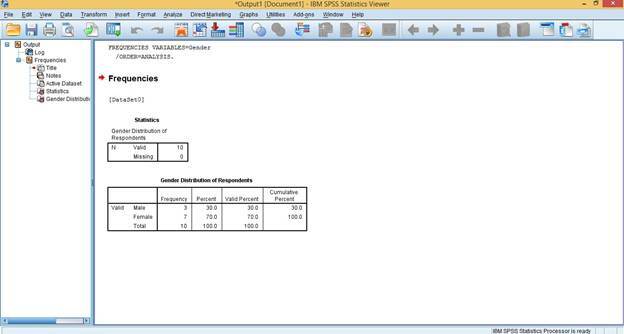 Required: Compute the results using SPSS. 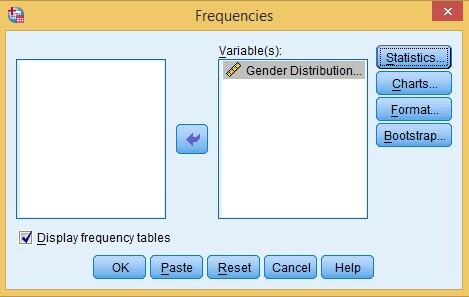 Open SPSS, Click on ‘Variable View’. Under the ‘Name’ Column, enter the Variable Name. 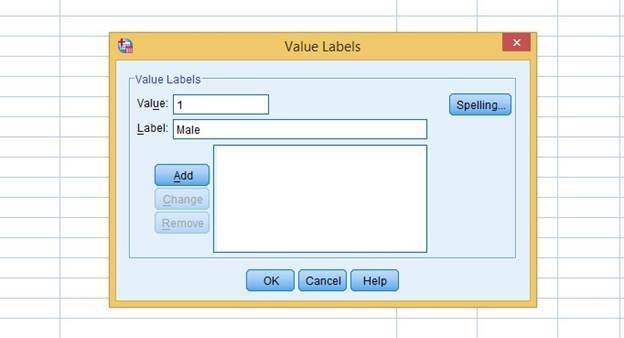 In this case ‘Gender’ Could serve as a variable name. Allow the Variable Type to be Numeric by default. Allow the Width and Decimals to be the default values (Unless you want to customize to your taste). Enter a Label Name. In this case my label Name could be ‘Gender Distribution of Respondents’. Under the ‘Values’ Column, you need to code your data. We can code 1 to represent ‘Male’, and 2 to represent ‘Female’. Once this is done, you click on the ‘Add’ button and repeat step for ‘Female’. Then click on ‘OK’. Other Columns such as Missing, Columns, Align, Measure and Role can be left at default, unless you need them to customize your report or deal with other variable/data types. Note: Number 1 (which represents ‘Male’) was repeated 3 times (frequency) because we had 3 Male Participants, and Number 2 (Which represents ‘Female’) was repeated 7 times (frequency) because we had 7 Female Participants for the study. Now this is the moment of Glory! The magic happens when you click on the ‘Analyze’ button at the top left of the software. 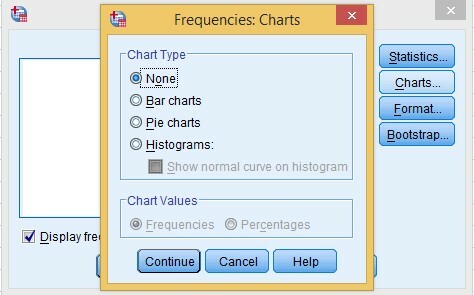 Finally, if you need some statistical elements or charts (such as pie chart, bar chart etc) associated with your table, click on the ‘Statistics and ‘Chart’ buttons. 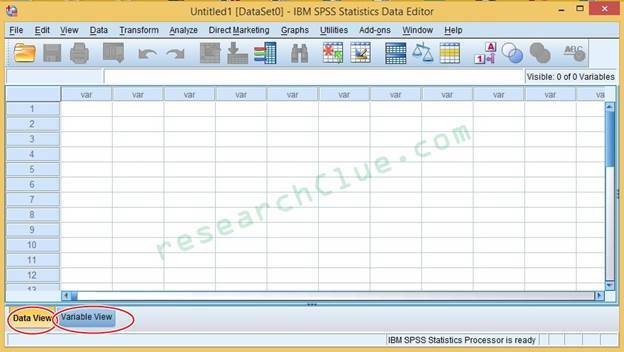 Click ‘OK’ for the results to be displayed in the SPSS Output Screen. You should get something like the image below if you followed the steps correctly. This is pretty easy. All you need to do is select the table, right click and select ‘Copy’. You can paste it where ever you need it to be. I told you it is as easy as ABC. Still need to advance? 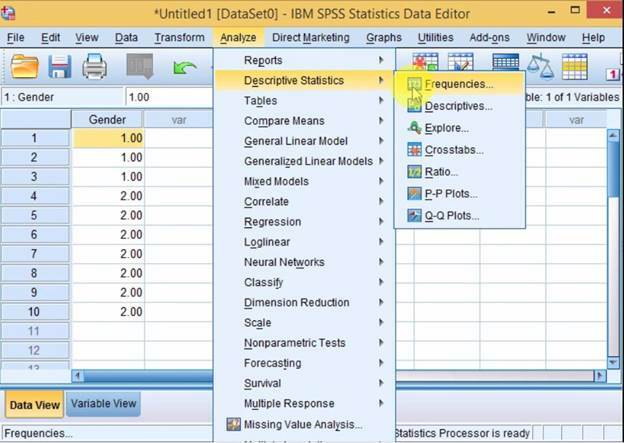 Read Making Inferential Statistics With SPSS for more advance stuffs in SPSS.